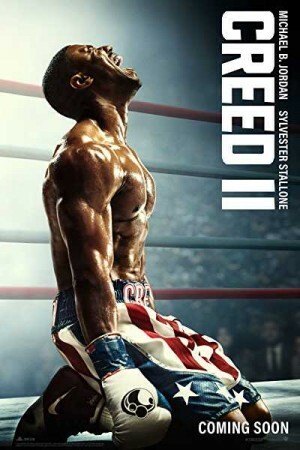 Creed 2, an American sports drama film, is a sequel to the 2015-film Creed and talks about the next phase in the life of Adonis Creed. While Adonis is preparing for the next big fight of his career, he gets disturbed due to some personal obligations, creating a bigger challenge in his life. Since his next opponent has ties to the past of his family, things get intensified in the ring. However, with Ricky Balboa by his side, Creed looks forward to a tough preparation and confront the shared legacy, discovering that there is nothing more important and worth fighting for, than his own family. Company: Metro-Goldwyn-Mayer Studios, New Line Cinema, Warner Bros.